I guess for seven bucks you can't call a bordeaux regular great. They're trying to sell the other wines too. Thanks, Simon. 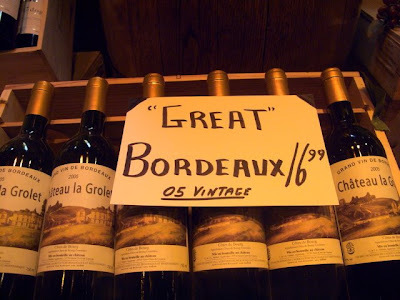 Maybe "great" refers to the size of the bottles.